Once upon an evening, I walked into my bathroom, picked up the can of shaving cream and was appalled. If you’ve taken a look at the ingredients on the side of the can, you probably were too. It is amazing what some of those words are; words that I wouldn’t even attempt to pronounce being put on our bodies with no after thought as to how they may affect us. It was 2015 when I looked at the side of that can and made the decision to stop buying as much as possible and make them homemade. 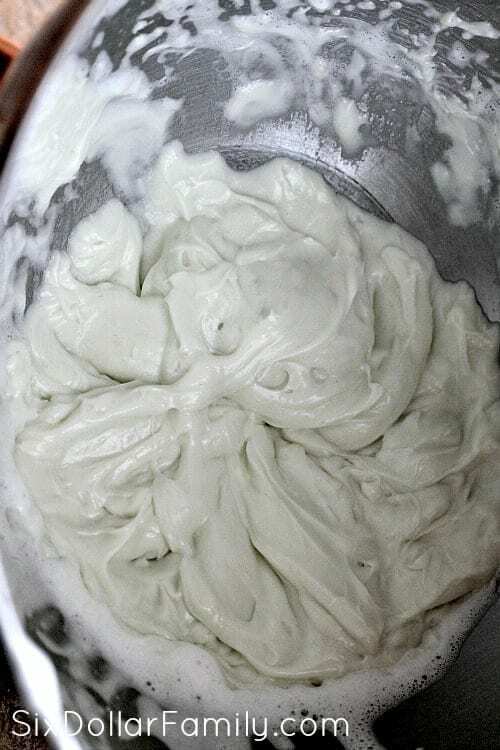 This homemade shave cream with shea butter was one of the first things that I made myself. It’s been three years now and the list of things I stopped buying and make has jumped from the initial 30 to well over 200 things to make homemade. Some are things that I only need to make occasionally, but others are weekly tasks in my home. I’ll be honest and say that when I first started thinking of making homemade shave cream, I was a bit leery as to what it would turn out like. No one wants to try and shave with a watery homemade shave cream that doesn’t later and leaves your skin dry. I even made my homemade lotion for dry skin to go along side of it just in case I would need it. As it turns out, I was worrying for nothing! This shea butter shave cream is perfect! It works up to a rich lather as long as you follow the instructions to a T and leaves both my legs and Steve’s face perfectly soft and moisturized! When you make your own batch of this homemade shave cream, you can use any essential oil that you like. I personally prefer to use lavender essential oil since it has amazing properties that I love my shave cream to have, but it really is a personal decision. Also, don’t be too focused on the brand of your essential oil. These days, I prefer to use Plant Therapy Essential Oils, but any oil that is 100% pure essential oil will work. Contrary to popular belief, there is no federal grading system for essential oils so anyone can slap a “therapeutic grade” label on a bottle of oil and call it so. What matters is that your oil is 100% pure and isn’t cut with anything. With Plant Therapy, I know I’m getting pure oil for a fraction of the price of other, more well-known brands. If you want to save a bit of money on your homemade shave cream ingredients, head over HERE and sign up for a Grove account. You will either score a FREE $10.00 credit or a FREE 5-piece Mrs. Meyers Cleaning Set depending on what the current offer is. Their prices are far better on some of these ingredients than I have seen elsewhere too which makes signing up worth it. This shea butter shave cream also makes for an amazing homemade gift idea and works well in homemade gift baskets too. I’ve even done entire gift baskets where I’ve made several different scents using different essential oils, added a piece of burlap or twine to each jar and gave that as a gift. It really is one of the best homemade beauty products that I’ve made and most people absolutely adore it when I gift it to them! 10-15 drops Essential oil of your choice. To start making your homemade shave cream, freeze a medium sized metal mixing bowl for around 15 minutes. I realize that might seem odd, but coconut oil has a melting point of around 76°F which means it will most likely melt and liquefy on your if you don’t keep it cold. Using a metal bowl and freezing it will help keep that from happening. Once you’ve got your mixing bowl cold, combine the shea butter and coconut oil using a hand mixer. When I originally published this DIY, I had mentioned using a stand mixer. I’ve since changed my mind on that for one reason; stand mixers often run slowly. When you make this homemade shave cream, you need something that will beat the ingredients quickly so they fluff up. A hand mixer will do that. I personally use THIS Black and Decker hand mixer for most of my homemade beauty products since it runs a bit faster than most I’ve seen. Anyhow, using a hand mixer, beat the shea butter and coconut oil until it triples in size. This should only take around 5 minutes but it could take a bit longer if your mixer runs slowly. If your home is warm and the coconut oil begins to melt, pop the bowl and all back in the freezer for a few minutes to cool it down and solidify it again. Once you have the shea butter and coconut oil whipped up, add the castile soap and whichever essential oil you’re using and whip it all up together. Again, if your oil starts to melt a bit, just pop it back in the freezer for a bit longer. 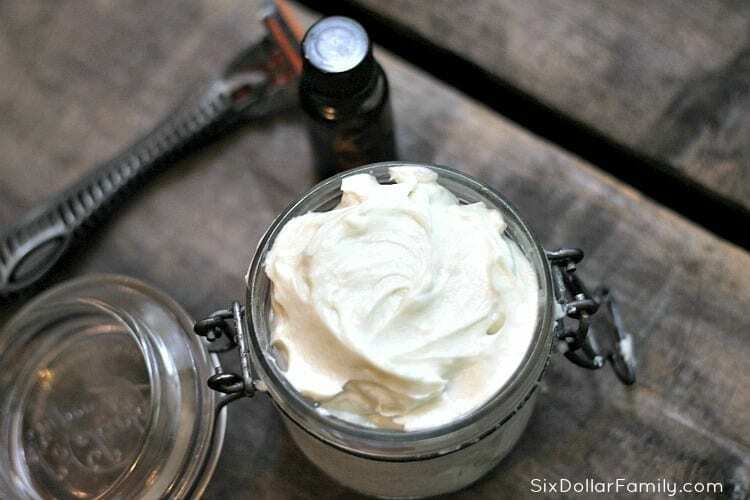 Once you have everything combined well, your homemade shave cream is finished! You can store your homemade shave cream in a 4 oz jelly jar or if you’re like me and you like to reuse things to save money, minced garlic jars that have been cleaned with white vinegar and Dawn dish soap to remove the smell work really well too. Just be sure that all of the garlic smell has been removed so your homemade shave cream doesn’t smell like garlic. I digress. To use your homemade shave cream, wet the skin down and smooth on your homemade shave cream generously. Shave like normal and be sure to rinse the skin well after. Store your shea butter shave cream in an airtight container in the fridge for best results. As I’ve already said, the coconut oil will melt pretty easily so storing it in a warm and humid bathroom can cause it to melt. If this happens, simply pop it in the freezer again and re-whip it all together once more. 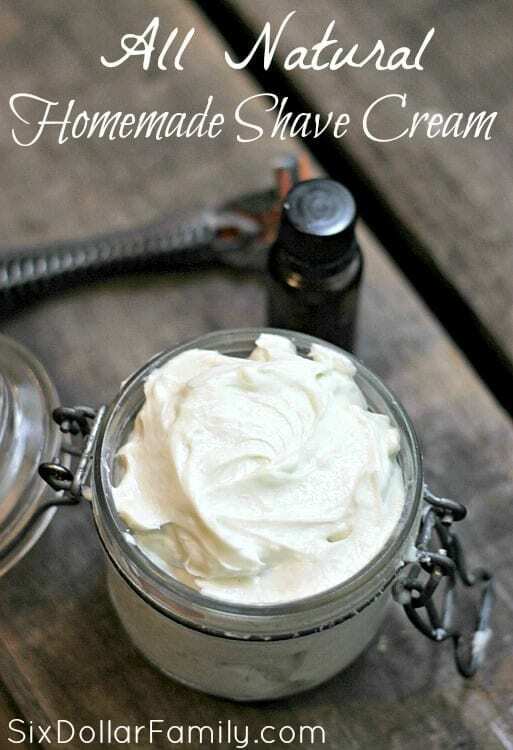 You shouldn’t, but if you feel as if your skin needs a bit of soothing after using this homemade shave cream, try applying my homemade lotion for dry skin or if you made it for a man, our homemade aftershave recipe works very well too. I’ve never once had an issue such as dry skin with this homemade shave cream, but everyone has different skin types. If you find that your homemade shave cream just isn’t turning out like you see in the photo or like it is supposed to, chances are good that your coconut oil is too warm. Try fixing that issue and it should help. Like I said in the beginning of this post, I have been making this for three years now and have never once had a batch fail. Does it clog up your razor? Summer, it hasn’t ours as long as they are rinsed properly. Sounds great, but does the coconut oil clog your drain? Noelle, we’ve been using it for almost a full year now with no drain issues. Just be sure that you run hot water down the drain to clear them if you’re concerned about it. Any other ingredient to replace castile soap? You can make your own liquid Castille soap by picking up a bar of Br. Bronners ($5.00 or so) and grating it. Melt in 2-3 cups of boiling water and let cool. Use it the same way. Will cut the cost down and should work just as well. Kim, the oil shouldn’t be too cold (as in hard), but should be soft enough to work with. I usually test by running my finger through the oil. If I have any resistance to my finger? It’s too cold and solid. Let it sit in a place that is a bit warmer than the rest of the house for a few minutes to soften it up, but be careful that it doesn’t get above 75 degrees F. It will melt. How is it in hot temperatures. I live in southern Spain. Temperatures in summer reach 40 °C+ ( 104 °F) . Most of the time my coconut butter is in liquid form. Great for making soap but will it hold form? Elsa, this particular recipe would not be very good in areas where there is a lot of warmth or humidity because of melt. What you could do though is mix it up, then store in the fridge. That should help combat melt somewhat making it usable. Let it come to room temperature before using, whip back up and you should be good to go. My husband is not a fan of coconut, have you tried any other kind of oils that would be just as beneficial and easy to work with ? Lindsey, you could likely use any oil that is considered a carrier oil, but we haven’t tried it so I can’t verify that it will work for sure. Please let me know if you try though! I’m curious now! About how much does this recipe yield? I’m trying to gauge how big of a canister I’ll need to store it in. Heather, I usually get about 6 oz out of it, but that could differ for you depending on the humidity and temperature of your home. I have another frugal, money-saving tip for shaving: I use hair conditioner to shave my legs and underarms (and I think my ex-husband still does, too). And my brother uses shampoo to shave, with great results. Conditioner leaves your skin really smooth — and if you’ve already used it on your head with no ill effects, it shouldn’t irritate your skin. It’s also a great way to use up conditioner you bought and don’t like, instead of just throwing it out. Just a tiny suggestion — but I am definitely trying this recipe! It sounds fantastic! Can you substitute cocoa butter for the Shea? Yes, you should be able to Kari. Stacy what canI use to replace Shea butter if i don’t have coco butter? Cocoa or Shea should work. I’m not sure which one you have on hand, but either will be okay. Any harder “butter” product like that will work. I made your shaving cream but it did not at all the way you show. It never increased in volume. I tried first with my hand mixer and after with my stand mixer, with the same result. I tried again with another batch, but turned out the same way. So I ended up with the exact same quantity as I started with. I added the Castile soap and the essential oil afterwards and refrigerate. Today, I checked it and it is so hard that I can’t do anything with it. I left it on the counter for the time being and l’ll check it again tomorrow, but even if it smooths, it still doesn’t have the consistency of cold butter instead of a cream. I wonder what went wrong and how I can recuperate my 2 containers? It’s not a cheap product so I really want to work it out. I used coco oil and shea butter. Lise, this might sound like a strange question but did you use a plastic or metal bowl? 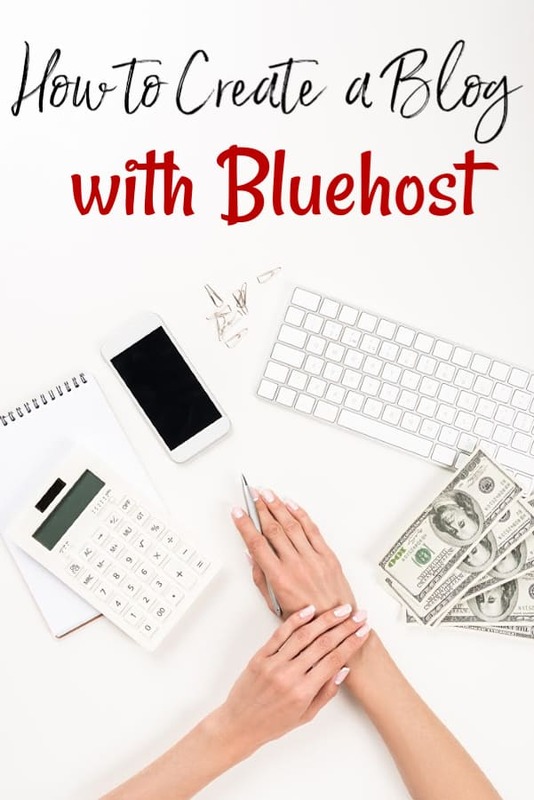 Hi, I love the idea of cutting cost and knowing what is in my products, and I’m super excited to check out all the stuff on your site. I hope you don’t mind, but I do have a couple questions regarding the shaving cream. The first is what brand of coconut oil do you use? The picture above shows Spectrum (so i figured you used that) but when I clicked the link it took me to Carrington Farms. If you use Carrington Farms does it work just as well? Cause I noticed I can get a larger amount which is great because buying in bulk usually saves me a ton of money in the long run. My second question is, how long does the shaving cream usually last? I wanted to get all the stuff and maybe make a big batch at one time and then have it stocked up. My fear is that it will lose its consistency. What do you think? Hi Lynn, I generally use Carrington Farms, but coconut oil is the same as long as it isn’t cut with anything and is pure. The day I took the photos for this post, I had Spectrum on hand so that’s what I used 🙂 As far as consistency, coconut oil will melt around 75 degrees, but if it gets too cool it will harden. On the shelf it can last a while but it may lose the fluff. If that happens, you should be able to stick it back in the mixer and rebeat it to get it fluffy again. I am disappointed. It did not turn out anything like your picture and I followed the ingredients exactly. I have the same issue as Lisa had above. I see you ask about a metal or plastic bowl but never answered, I used plastic not sure why that would matter???? Michele, the same thing will happen when making a meringue or whipped cream. A cold, metal bowl will help it set up better. I’m not certain of the reason behind it, but it works. I suspect that is the case here since the cool surface from the bowl will help to keep the coconut oil and shea butter from turning into a liquid. The heat and level of humidity in your home can also cause it to fail. Thanks for pointing it out to me. I’m going to edit the post to include the info so others don’t have a fail too. Omg love this recipe. I increased the recipe to 1 cup of shea butter (Karitex) and 1 cup of coconut oil (Wal-Mart Great Value brand). 3 tbsp of castile soap and approximately 50-60 drops of essential oil (vanilla and pink grapefruit). Used a large glass measuring cup (1 guart) and my hand mixer. Whipped up easily and was finished with everything including clean up in about 20 minutes. Had enough for myself and my mom to try. Such a smooth, close shave with absolutely none of the razor burn my sensitive skin is prone to. Legs felt soft and moisturized even the next day! I will never go back to the other stuff! 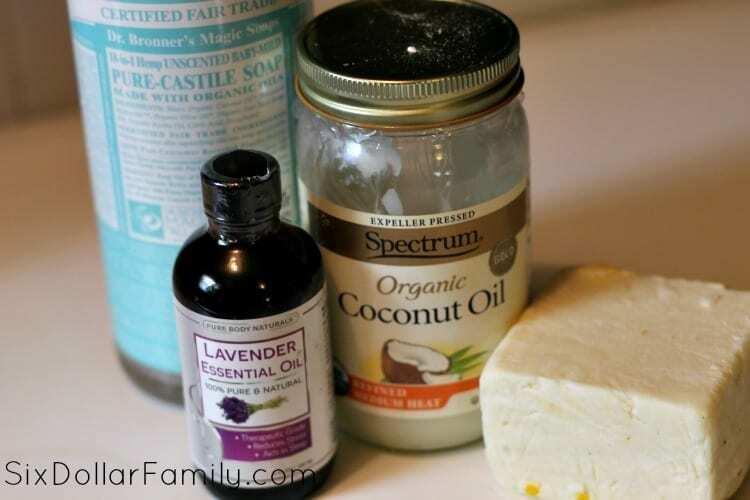 When you make your recipes, do you use your DIY liquid castile soap or Dr. Bronner’s? I’m very new to going green and chemical free. I tried my first diy liquid and it’s been an experience. (Chemistry is not my thing) I’ve never tried any other liquid. Crystal, it depends on whether I have any DIY on hand. We have a good DIY Liquid Castile soap recipe HERE that includes how to get it to thicken up easily. It’s a pretty simple recipe.